With the Ubiquiti UniFi Cloud Key Gen2 you can manage all your UniFi devices from one central point via the Cloud, wherever you are. It is a mini computer and software controller in one that is powered via PoE (802.3af). 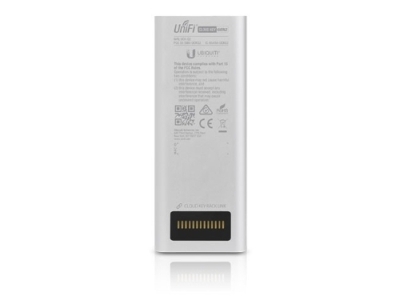 This variant is equipped with Bluetooth, a built-in display and a backup battery. 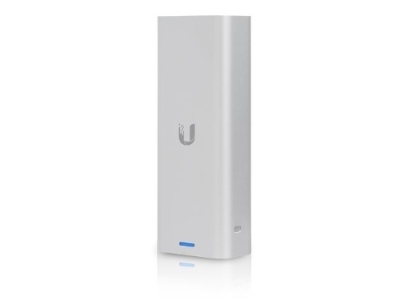 The UniFi Cloud Key Gen2 is a mini-computer and software controller in one, with which you can manage and configure all your UniFi devices from one central point. The Cloud Key runs partly locally and partly on the cloud, so that you can manage the devices remotely via your web browser. If the internet connection fails, the controller can continue to operate as normal. 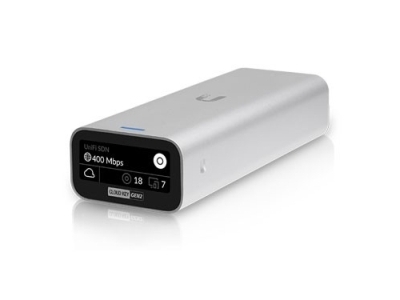 The Cloud Key contains a quad core processor with 2GB RAM and works with the latest version of UniFi Controller. It is powered via Power over Ethernet (802.3af) and can be connected to most switches. There is no need to download additional software or licenses. The Cloud Key Gen2 is the successor of the old Cloud Key and is equipped with a built-in Bluetooth transmitter so that you can connect it directly with the UniFi app on your smartphone. Via this app you can then configure the network in just a few minutes. The Cloud Key Gen2 also contains a built-in backup battery that allows the system to shut down safely in the event of a power failure. Also new is the integrated display that shows important information about the network status. With the UniFi Controller, the software that belongs to the UniFi Cloud Key Gen2, you can configure, control and monitor the UniFi access points and the UniFi USG. The user receives a clear overview of all equipment within the network and insight into the network itself. This way you can see how many clients are connected and which devices are being used. You can also block or remove clients from the network. 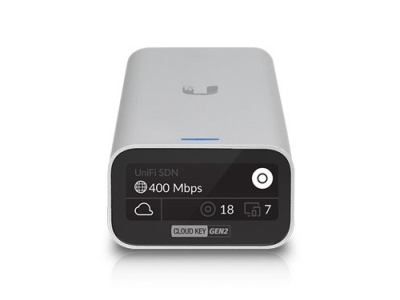 In addition to the basic functions, the UniFi Controller offers the option to set up a hotspot. Here the customer can set up an opening page (captive portal) that can be fully personalized via HTML. The customer can use a built-in ticket system for this.